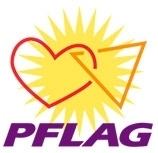 Here's what PFLAG is doing at Pride this weekend. If you would like to help staff the booth on Sunday, see below. Saturday, July 9. Northern Kentucky Pride. **Goebel Park,Philadelphia and 6th St, Covington, KY. 10 am - 8 pm. PFLAG will have a booth. For details on the festival, see http://www.nkypride.org/ . Sunday, July 10. Cincinnati Pride Parade and Festival. http://www.equinoxcincinnati.com/ . The PFLAG contingent in the parade will meet at 5th and Sentinel. The parade steps off at 1 p.m. so please try to arrive by 12:30. Lynne Lefebvre, who is coordinating the PFLAG group, says "parking is available at the corner of Sentinel & Culvert, by the P&G Towers Dock. Wear the most colorful and fun regalia you can dig up. Bring water! It's hot and we don't want you keeling over!" Pride Festival 1 - 9 pm. Fountain Square. If you would like to help staff the PFLAG booth for an hour or two, please let me know by replying to this note. In any case if you get to the festival do stop by the booth & say hello. If you click on the Events link on http://www.equinoxcincinnati.com/ you will see the long list of groups in the parade as well as the booths (listed as vendors). It should be a great weekend to come downtown to Covington and Cincinnati.